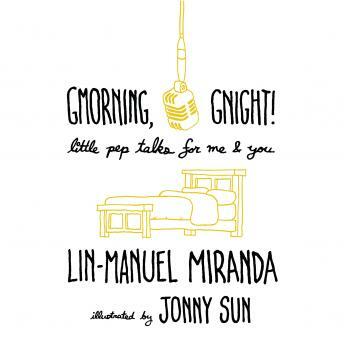 From the creator and star of Hamilton comes an audiobook of affirmations to inspire listeners at the beginning and end of each day. Before he inspired the world with Hamilton and was catapulted to international fame, Lin-Manuel Miranda was inspiring his Twitter followers with words of encouragement at the beginning and end of each day. He wrote these original sayings, aphorisms, and poetry for himself as much as for others. But as Miranda’s audience grew, these messages took on a life on their own. Now Miranda has gathered the best of his daily greetings into a collection. Full of comfort and motivation, Gmorning, Gnight! is a touchstone for anyone who needs a quick lift.